Andy Ellis credits his success as a personal injury attorney to the work ethic he learned from his parents while delivering hundreds of newspapers each morning in northern New Jersey. This work ethic was fine-tuned when he served in the United States Army. Andy has obtained over a quarter of a billion dollars for clients from throughout Southern California during his career as a trial lawyer. These include a $4.1 million product liability verdict, a $3 million truck accident verdict, a $2.9 million car accident settlement, a $1.25 million wrongful death settlement against the Los Angeles County Sheriffs, and a $1 million medical malpractice settlement. Andy is a member of the prestigious American Board of Trial Advocates and is a lifetime sustaining member of the Consumer Attorneys Association of Los Angeles. For more than two decades, Mayra Fornos-Buch has been representing and advocating for people who have sustained catastrophic injuries and those discriminated against. Mayra has recovered millions of dollars in verdicts and settlements for her clients. In 2014 and 2015, the Fornos Law Firm was ranked Tier 1 in Los Angeles for medical malpractice law and Tier 2 in Los Angeles for plaintiffs’ personal injury litigation by U.S. News – Best Lawyers “Best Law Firms.” She has been named to Southern California Super Lawyers and The Best Lawyers in America since 2012. She was nominated in 2012 for the Consumer Attorneys of California Advocate of the Year Award. As a tireless participant in the spinal cord injury community, Mayra founded the nonprofit Ralph’s Riders Foundation in honor of her late husband, which assists those with spinal cord injuries and other mobility impairments. Genie Harrison is widely recognized as an outstanding advocate and trial attorney for employees who have suffered unlawful harassment, discrimination, retaliation, wrongful termination, and wage and hour violations. Ms. Harrison represents employees in single and multi-plaintiff cases, as well as in class actions. Ms. Harrison’s efforts have resulted in over $65 million in verdicts and settlements for her clients and in serious reforms implemented in the workplace, which have benefited countless employees. 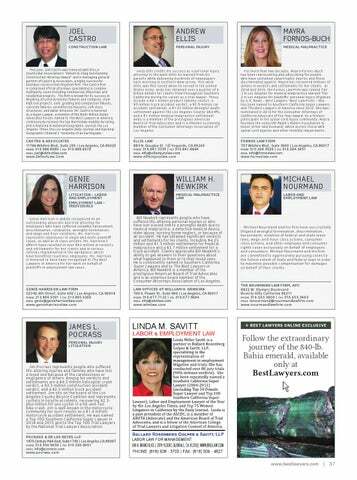 Ms. Harrison is honored to have been recognized in The Best Lawyers in America for her work on behalf of plaintiffs in employment law cases. Bill Newkirk represents people who have suffered life-altering personal injuries or who have lost a loved one to a wrongful death due to medical malpractice, a defective medical device, elder abuse, nursing home neglect, or because of an accident. He has obtained significant verdicts and settlements for his clients, including $4.25 million and $1.3 million settlements for medical malpractice and a $3.7 million settlement for a truck accident. Clients appreciate Bill Newkirk’s ability to get answers to their questions about what happened to them or to their loved ones. 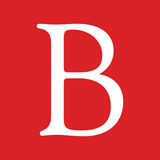 He is consistently named to Southern California Super Lawyers and to The Best Lawyers in America. Bill Newkirk is a member of the prestigious American Board of Trial Advocates and is an emeritus board member of the Consumer Attorneys Association of Los Angeles. Michael Nourmand and his firm have successfully litigated wrongful termination, discrimination, harassment, violation of federal and state leave laws, wage-and-hour class actions, consumer class actions, and other employee and consumer rights cases exclusively on behalf of employees and consumers. Michael Nourmand and his firm are committed to aggressively pursuing cases to the fullest extent of state and federal laws in order to maximize possible compensation for damages on behalf of their clients.